Photography included with at least 200 photos for this package. Tropical flowers (orchids, bird of paradise, etc.) on the bamboo arch, in the bamboo baskets, and on the tiki torches. 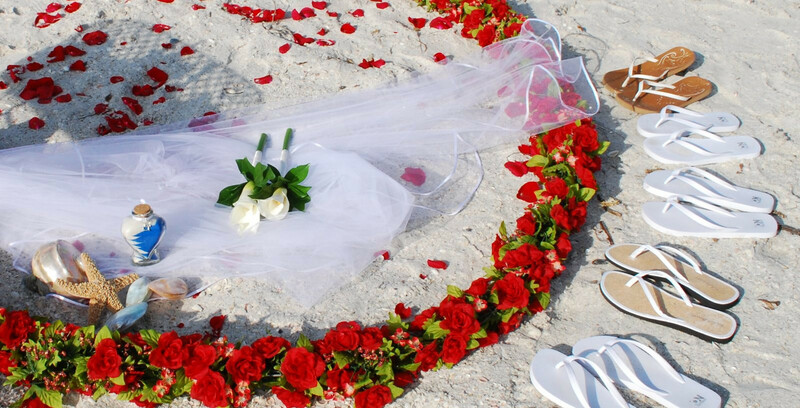 The sand ceremony basket is decorated with grass skirt and tropical flowers. 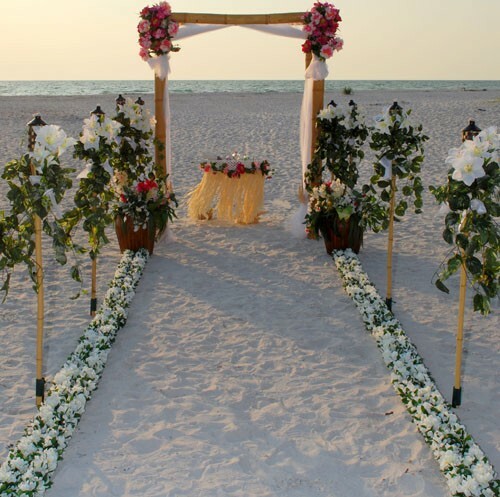 Both the Classic White and Shades of Pink have white lily tiki torches and a white azalea aisle. Both also have large bamboo baskets with white flowers–Shades of Pink has pink flowers added to the baskets. 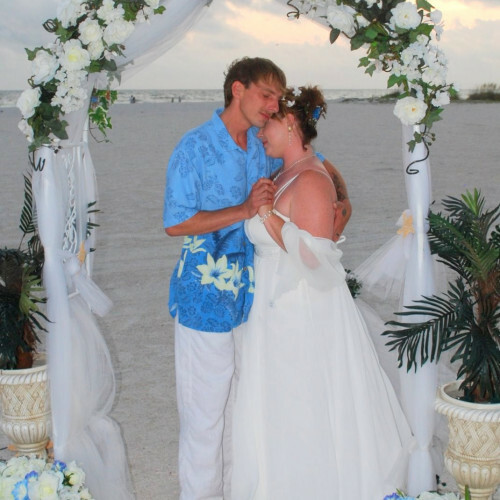 Free add on: Up to 20 covered chairs decorated with your choice of sash colors. 3. 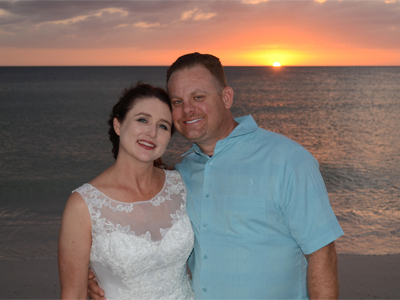 Steel drum music (recorded) played before processional, during sand ceremony and after the recessional. 4. 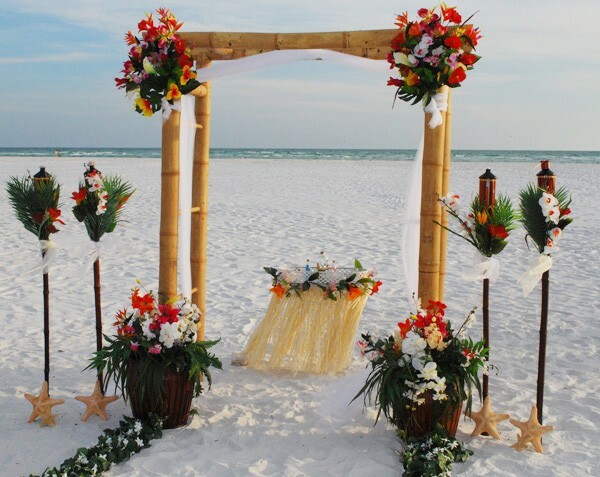 Bamboo wedding arch decorated with tropical flowers, white tulle and large starfish Tropical flowers (orchids, bird of paradise, etc. on the bamboo arch and in the bamboo baskets.. 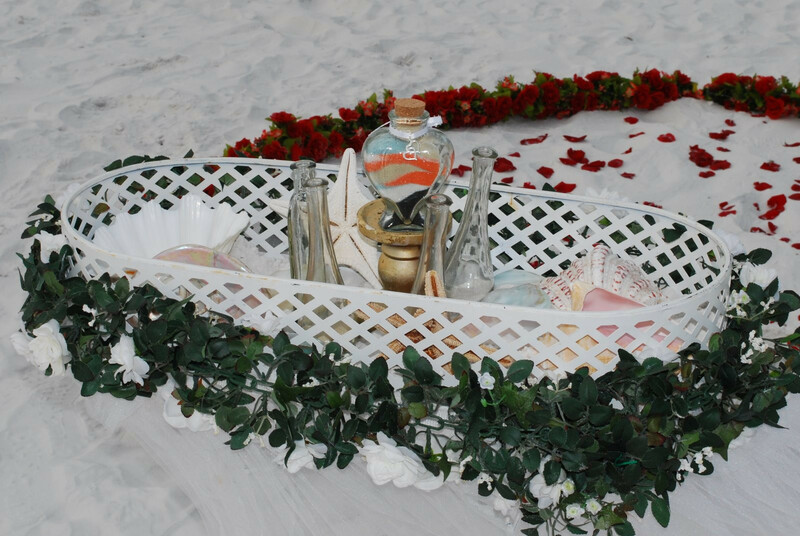 The sand ceremony basket is decorated with grass skirt and tropical flowers. 5. Pair of bamboo flower baskets. 6. FOUR PAIRS of tiki torches. 7. 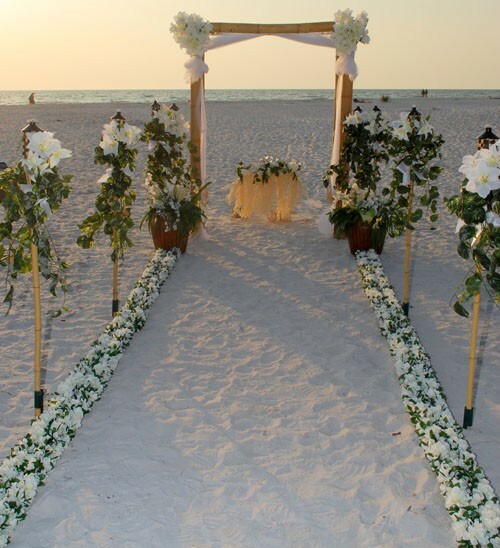 16ft fern aisle decorated with orchids and hibiscus. 8. 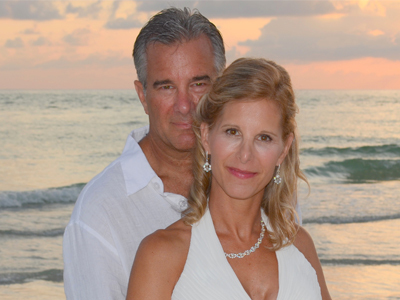 We take at least 200 photos and send you a CD with all the pictures in full resolution. Your CD comes with permission to make as many copies and prints as you would like. 9. 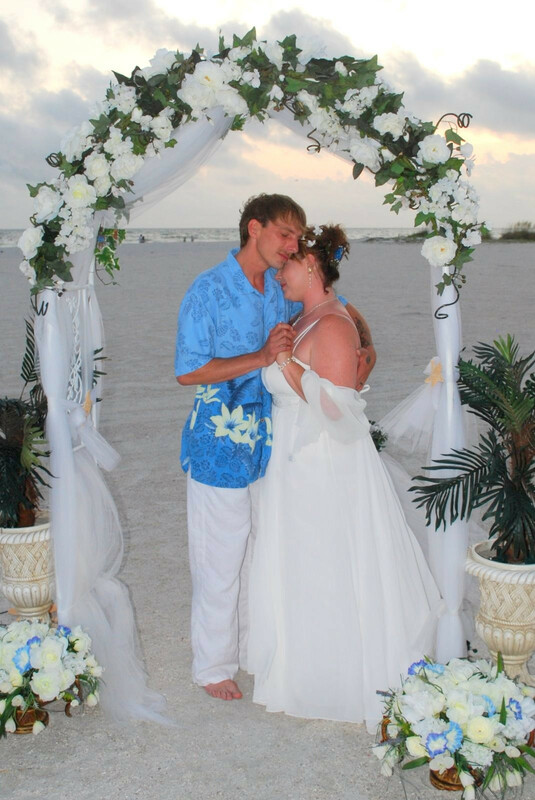 Free use of silk flower bouquets and boutonnieres for ceremony and pictures. Starfish ring pillow is also available at no additional cost. 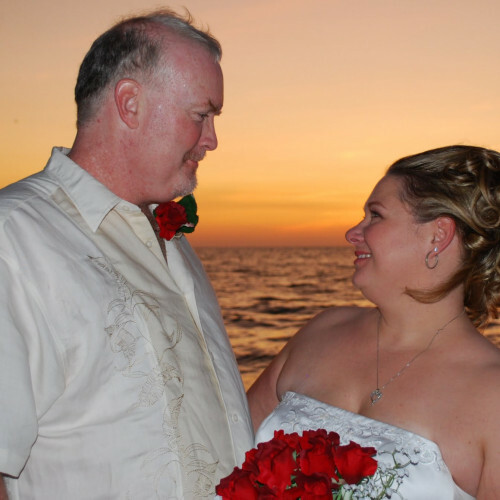 To see bouquet choices click here. 10. 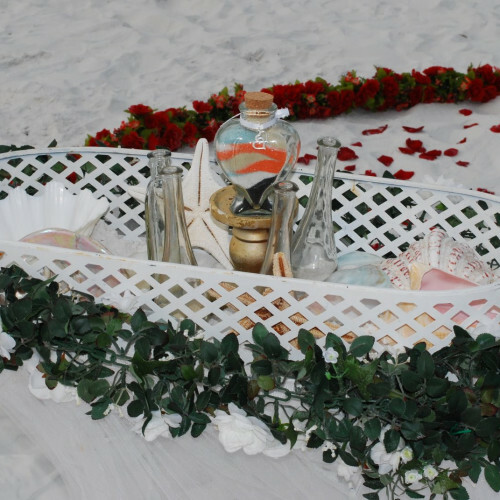 Unity sand ceremony – Two sand colors are chosen, then the bride and groom each pour sand from individual bottles into one bottle to symbolize the couple’s unity. 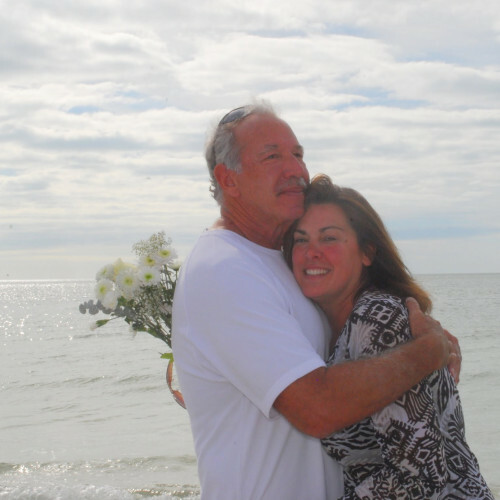 The bottle of sand is then a keepsake for the couple. 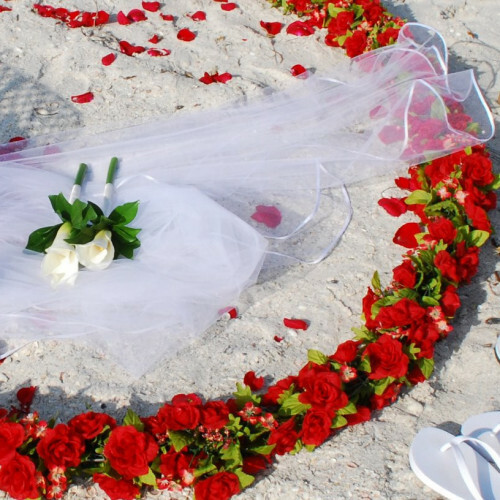 If you want more participants in the sand ceremony just choose the extra colors (no extra charge). 11. 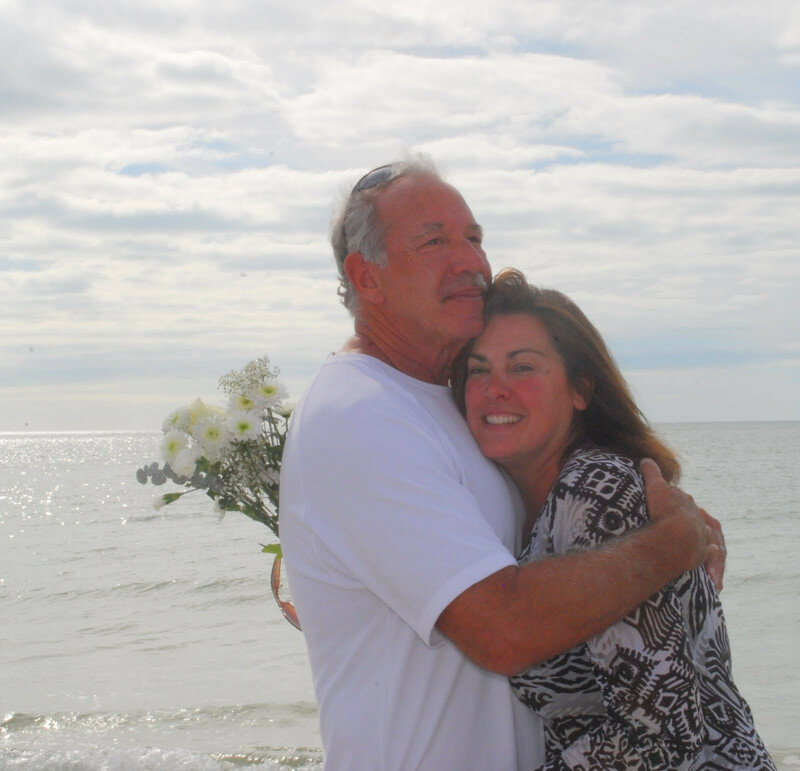 Blessing stones – the bride and groom and any others attending the ceremony walk to the edge of the ocean and make a silent wish while tossing a pebble into the sea. 12. 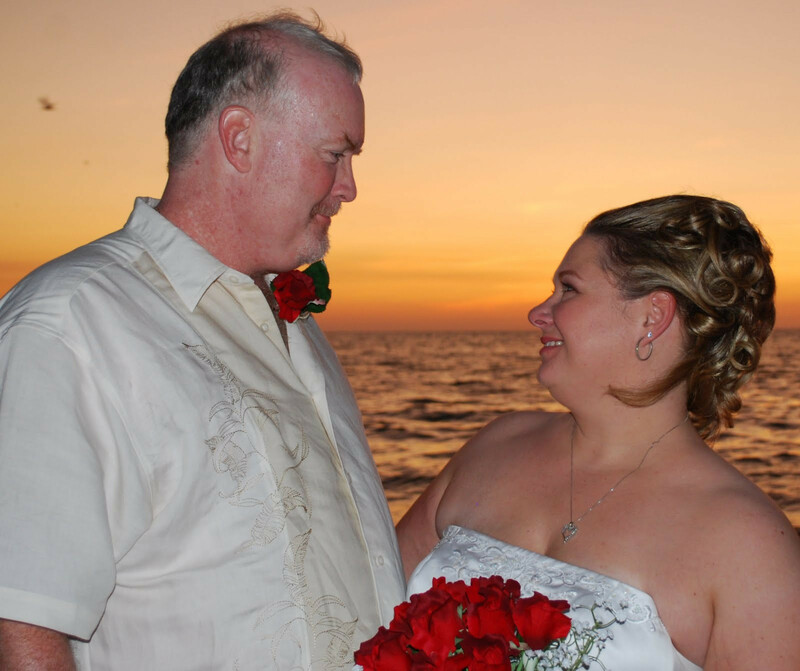 Certification and return of marriage license to Clerk of Court. This package qualifies for a free add on of 20 chairs with covers and colored sashes.